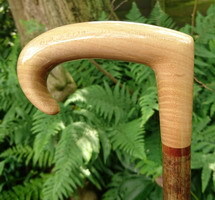 A Brighton Crook handle of well figured Olive Ash, mounted on a Hazel shank with an Oak spacer and tipped with a polished brass ferrule. 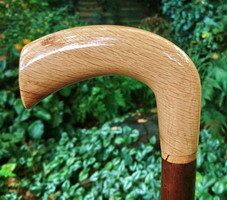 Length - 37 1/2". 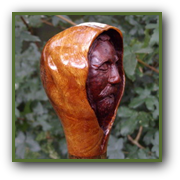 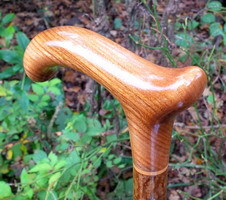 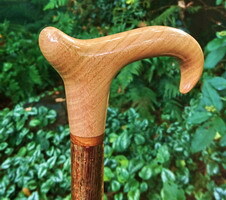 A Crutch handle of Wytch Elm, mounted on a Hazel shank with a spacer of Sycamore and tipped with a polished brass ferrule. 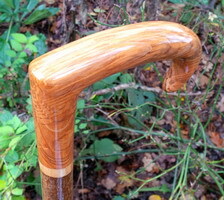 Length - 36" (to dip in handle). 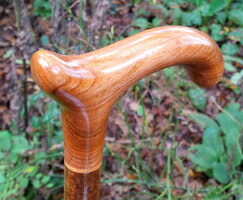 A Brighton Crook handle in English Cherry, mounted on a mottled Hazel shank with a spacer of Mahogany and tipped with a polished brass ferrule. 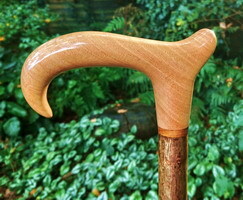 A Brighton Crook handle of lightly Spalted Beech, mounted on a dark Chestnut shank with a Walnut spacer and tipped with a polished brass ferrule. 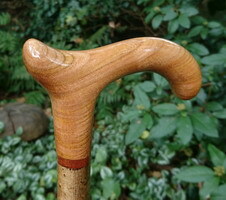 with a polished brass ferrule. 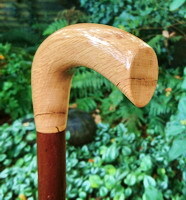 Length - 36" (to dip in handle). 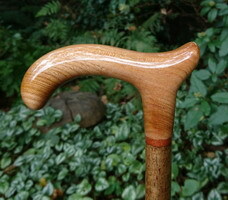 Length - 35 3/4" (to dip in handle). 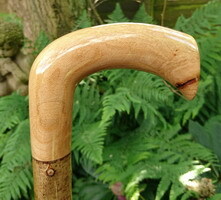 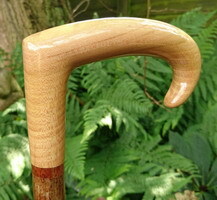 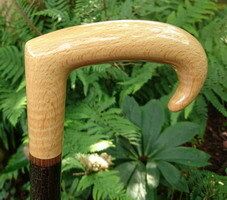 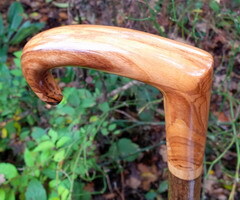 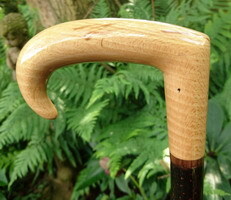 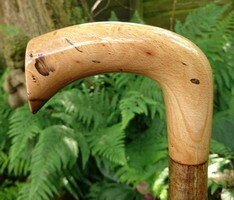 A Cardigan handle of Spalted Beech, mounted on a stout Hazel shank and tipped with a polished brass ferrule.